Arlington Heights Therapist: Catherine Papagiorgio - Therapist 60005. 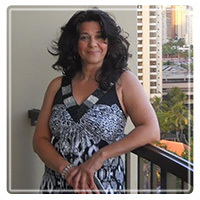 Catherine Papagiorgio is a clinical therapist that specializes in individual, couples and family psychotherapy . She maintains a private practice in Arlington Heights, Illinois. With over 20 years of experience, Catherine is currently serving as private practitioner working with a broad spectrum of clients. Among her areas of expertise are :Depression, anxeity, addictions alcohol and substance abuse, grief and loss, relationship and marital issues, stress and anger managment and many more . In the past, Catherine has worked in hospital and community settings, she has supervised many interns. Catherine is also an adjunct professor and teaches at the college level. Catherine is a practical, interactive, solution-focused therapist. Her treatment approach is to provide support and practical feedback to help clients resolve current problems and long-standing patterns. She incorporates a blend of conventional and alternatives approaches, drawing upon a variety of styles and techniques to incorporate what will be most helpful for each client. With sensitivity and compassion, she works with each client to help them build on their strengths to identify and achieve life goals. Additional Training- Trained and certified in alcohol and other drug addiction counseling, anger and stress management and domestic violance .